(Chuck Muth) – They say everyone talks about the weather but nobody does anything about it. Well, the same can be said about the skyrocketing cost of certain brand-name prescription drugs. Everyone has heard about ginormous price spikes over recent years – most famously Martin “Pharma Bro’” Shkreli’s obscene increase in the cost of Daraprim from $13.50 per pill to a whopping $750 per pill in 2015. Unfortunately, the knee-jerk reaction to this problem by all too many public officials has been to propose government intervention and price controls. Alas, the better solution – always – is market competition. But that’s where the problem is. In order to foster ongoing research in the development of new drugs, the United States issues “patents” that allow drug-makers monopoly control over sales for a set period of time – usually 12 to 20 years. After the monopoly sales period ends, generic competitors are allowed to enter the market. The first problem is that in order for generic companies to bring to market a less expensive competitive product, the generic version must go through a lengthy approval process through the Food & Drug Administration (FDA) to assure the generic version is both safe and effective. But in order to submit its version for such approval, it’s necessary for the generic company to obtain samples of the brand name drug for development and clinical testing purposes. And by law, the brand name drug is required to provide such samples. Unfortunately, in order to extend its monopoly hold on a captive market, some brand name drug manufacturers have “gamed the system” by finding ways to deny the generic companies the samples they are entitled to. Legislation to end such road-blocking – the CREATES Act – is pending in Congress. But Big Pharma’s big influence on Capitol Hill has thus far successfully choked off the bill from coming to a vote. The second trick pharmaceutical companies have used to extend their monopoly control and profits for a brand name drug comes from abuse of the U.S. patent system itself. As a drug reaches the end of its patent life, and thus subject to generic competition, what some pharmaceutical companies have been doing is tweaking the drug with some minor adjustment to extend the patent – and thus their higher prices and higher profits. For example, they might change the drug from a capsule to a tablet. Or issue a “time release” version. Or change the coating. Or adjust the dosage. Or change it from a twice-a-day pill to once-a-day. And successful product hopping results in the original patent being extended well beyond the protected lifetime of the drug – which freezes out generic competition and keeps prices artificially high. There’s an easy fix to this – but one state legislators seem to avoid in preference to pushing for government price controls. All states need to do is allow pharmacists to prescribe low-cost “near substitutes” – meaning FDA-approved similar drugs matching the original patent. But such a common-sense simple fix doesn’t generate near the headlines as price-fixing legislation. So don’t hold your breath. Anyway, product hopping has proved to be so effective and so profitable that some companies have gone to extreme lengths to take advantage of this loophole in our patent system. Take Humira, for example. 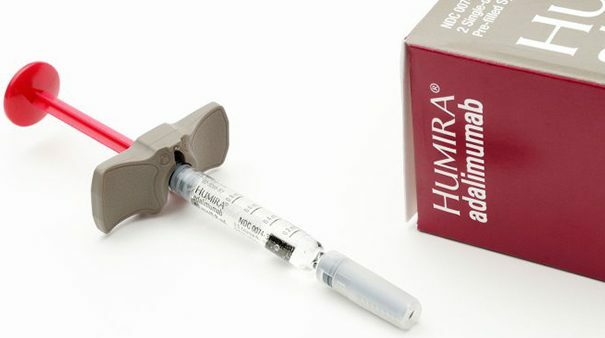 Humira is a drug used to treat severe medical conditions such as rheumatoid arthritis and inflammatory bowel disease. It’s manufactured by AbbVie and is the best-selling drug in the world which reportedly accounts for some 60 percent of AbbVie’s international sales. And the amount of money that means is simply staggering. The original patent for Humira expired in 2014. However, AbbVie filed 247 new patent applications – that’s right, 247! – in an effort to extend the company’s monopoly control over the drug through the year 2037. There’s an industry term for this, too. Filing multiple new patents to protect a drug whose original patent is set to expire is called creating a “patent fence” around it. In Humira’s case, 110 of the 247 follow-up patents in the United States have been approved – thus blocking generic competition. However, Europe has refused to play this “patent fencing” game. As such, four generic competitors to Humira recently entered the European market – which has already resulted in price drops of anywhere from 10% to 80%. But let’s say you have a Cadillac health insurance plan in which you pay the same small co-pay regardless of whether you get the expensive brand-name drug or the less-expensive generic version. Why should you care? You, as a taxpayer, are also paying for the prescription drugs of fellow Americans who are getting their drugs for “free” under various government-funded health programs – such as Medicare and Medicaid. And as long as brand-name drugs are allowed to game the patent system to extend their monopoly control over the sale of certain prescription medications, the cost out of your pocket to fund those government programs through higher taxes will continue to go up, up, up. As those old commercials for Fram oil filters put it, you can pay for it now, or you can pay for it later. Make no mistake, if these abuses of the patent system aren’t ended, YOU are going to end up paying through the nose one way or another. And that, my friends, is a prescription for financial disaster. Mr. Muth is president of Citizen Outreach and publisher of Nevada News & Views. He blogs at MuthsTruths.com. His views are his own.